Warframe's free holiday content update features Ghoul Purge Bounties, Orbiter decorations, and more. Earlier today, independent developer and publisher Digital Extremes released new holiday content with the Plains of Eidolon Update 22.8.0 for Warframe on PC. This monstrous update unleashes an assortment of Ghouls into the Plains of Eidolon, and it’s up to players to defend Cetus against these gruesome monstrosities. 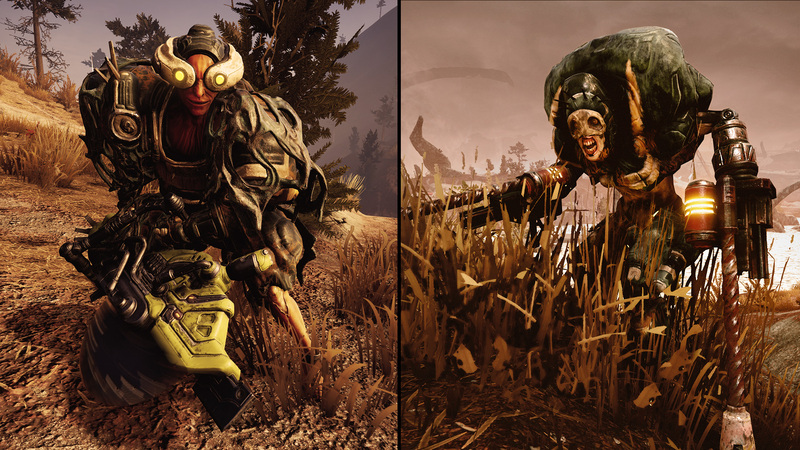 Initially of Grineer origin, these repulsive Ghouls are born from the ground and can be encountered through Ghoul Alerts, Incursions, or Ghoul Purge Bounties. These Ghouls are known to “overrun their victims in a gruesome mass of limbs and toxin,” so be sure to arm yourself accordingly before heading into the Plains of Eidolon. Rictus Ghoul: Armed with a ridable buzz saw. Auger Ghoul: Wields dual flamethrowers; can drill down into the earth and resurface for surprise attacks. Devourer Ghoul: A portly Ghoul with a long tongue, spike covered fists, and a jet pack. Expired Ghoul: Uses bomb-covered gloves that detonate when pummeling enemies. These Ghouls break down into different variants as well, which you can read about on the Plains of Eidolon Update 22.8.0 patch notes. A number of new Tenno weapons, Grineer weapons, cosmetics, and stances have been added as well. Along with the Ghoul Purge Bounties, today’s update also added Landing Craft personalization features that allow players to spruce up their Orbiter just in time to entertain guests for the holidays. The Orbiter has also expanded the Personal Quarters so that players can adorn their ship with an assortment of new decorations. 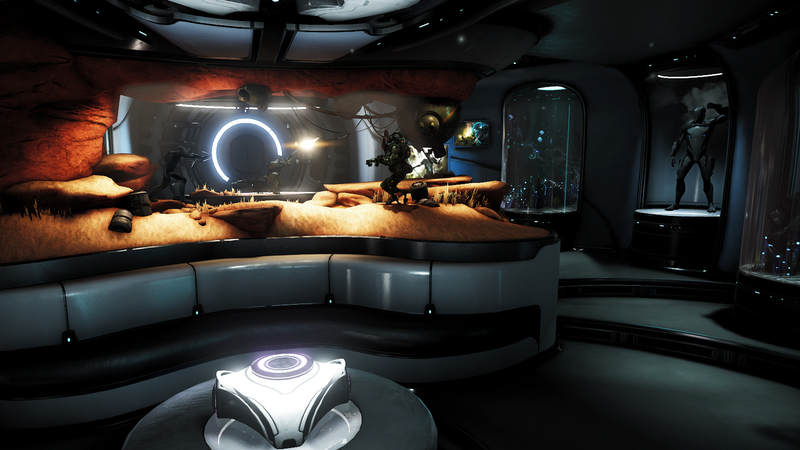 Warframe figures, wallpaper, toys, and even fish tanks can be used to customize the inside of your Orbiter. The best part is, you can show off your newly redecorated Orbiter to your friends, thanks to the new friend invite option that allows other players to come aboard your craft. To obtain the new Personal Quarters Segment Blueprint, players must complete The War Within quest. If you’ve already finished this quest, then you can retrieve the Blueprint from your Inbox. Warframe's Plains of Eidolon Update 22.8.0 includes various bug fixes and optimizations as well. Be sure to review the latest patch notes for the full list of changes. 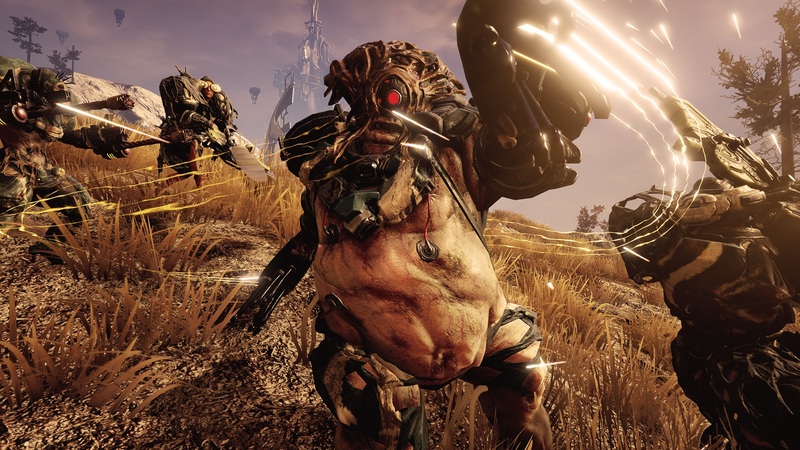 The Plains of Eidolon update went live earlier for Warframe on PC.